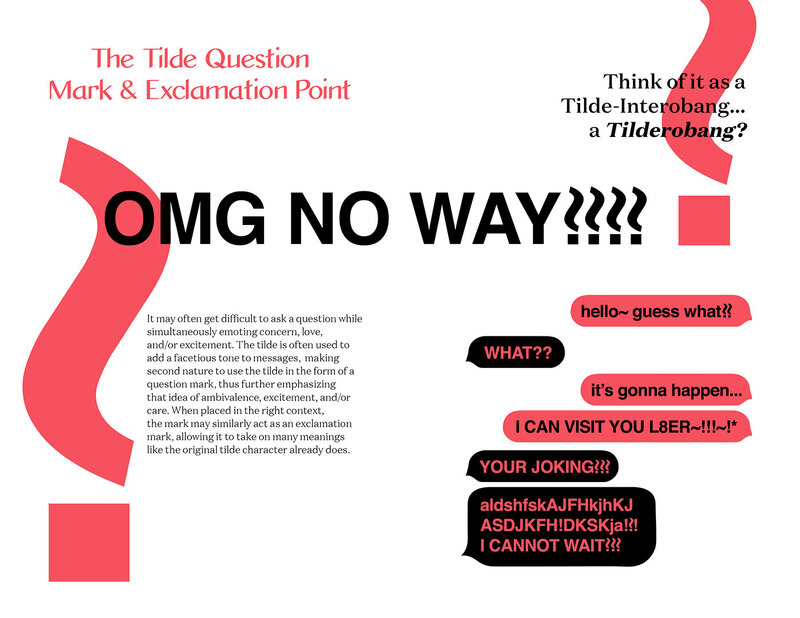 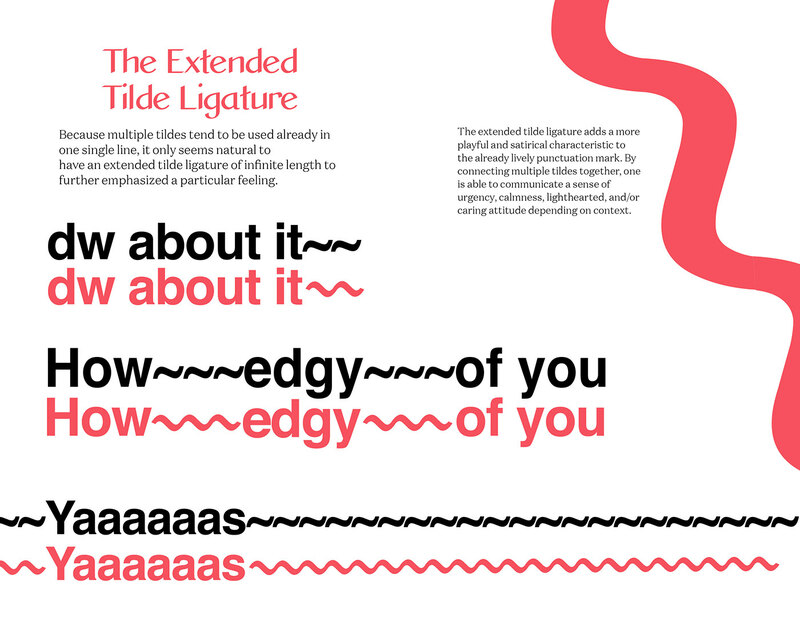 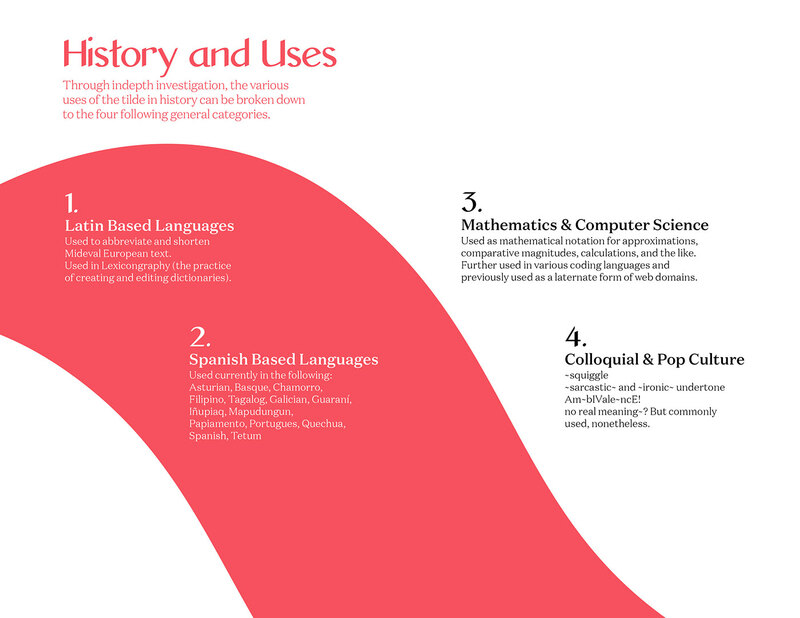 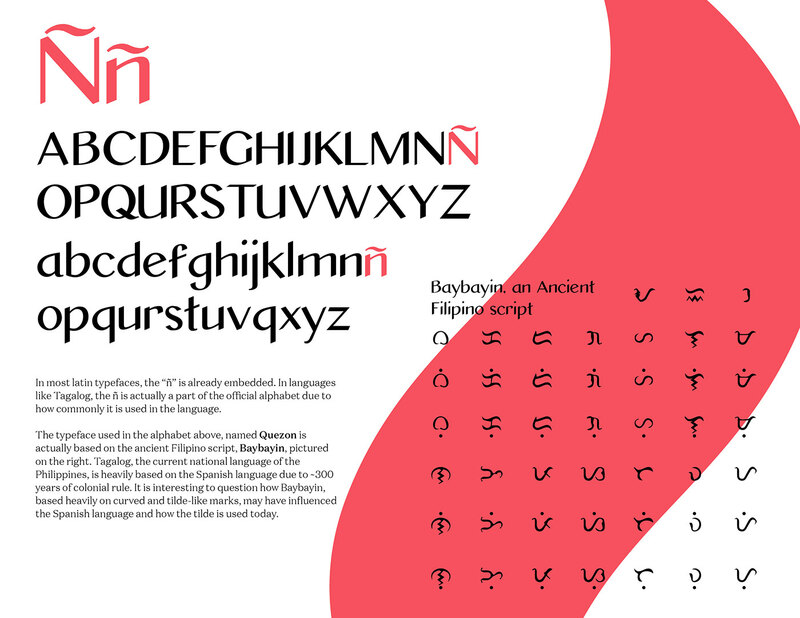 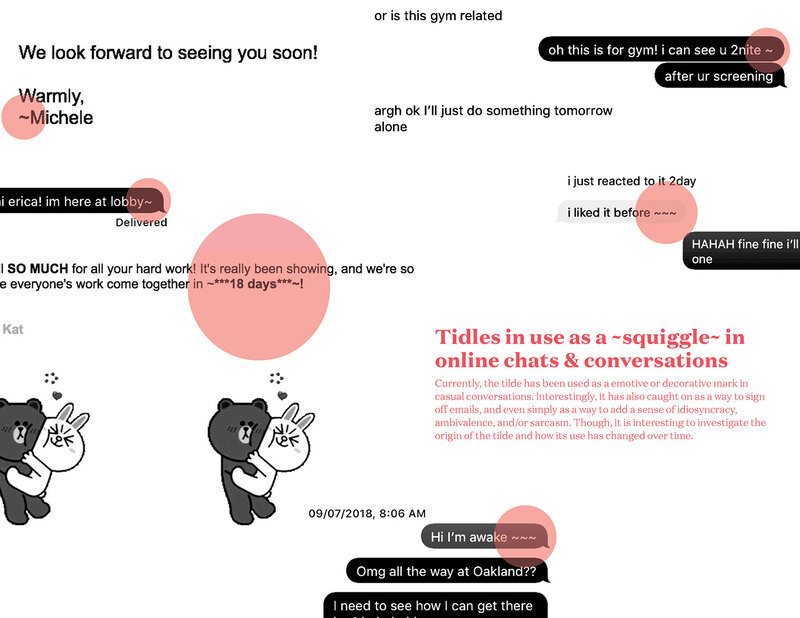 This project explores the origin, history, and uses of the ~ tilde ~ (Unicode U+223C). 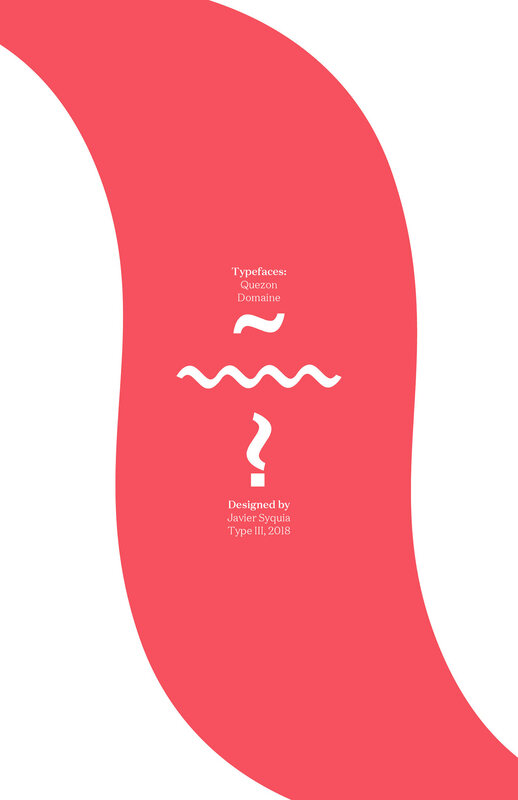 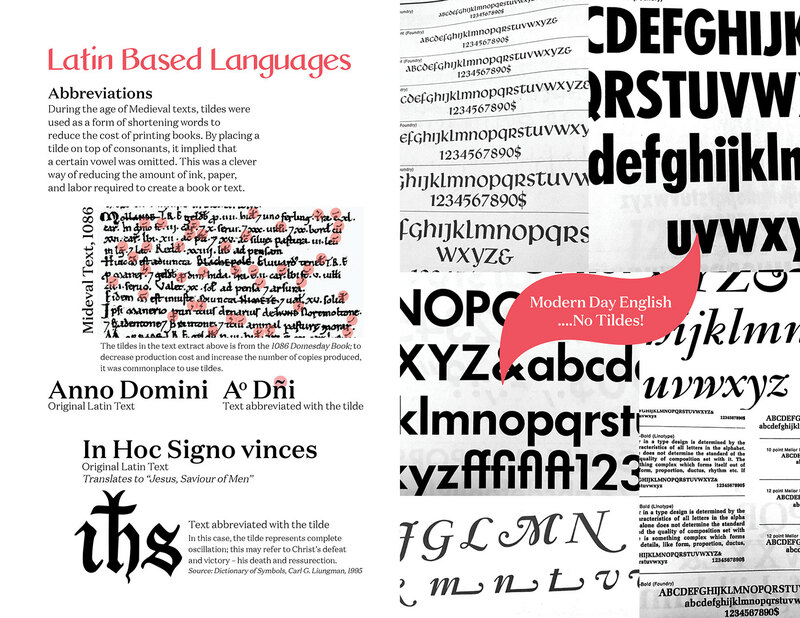 The use of typographic symbols may change significantly based on the context that it is used in. 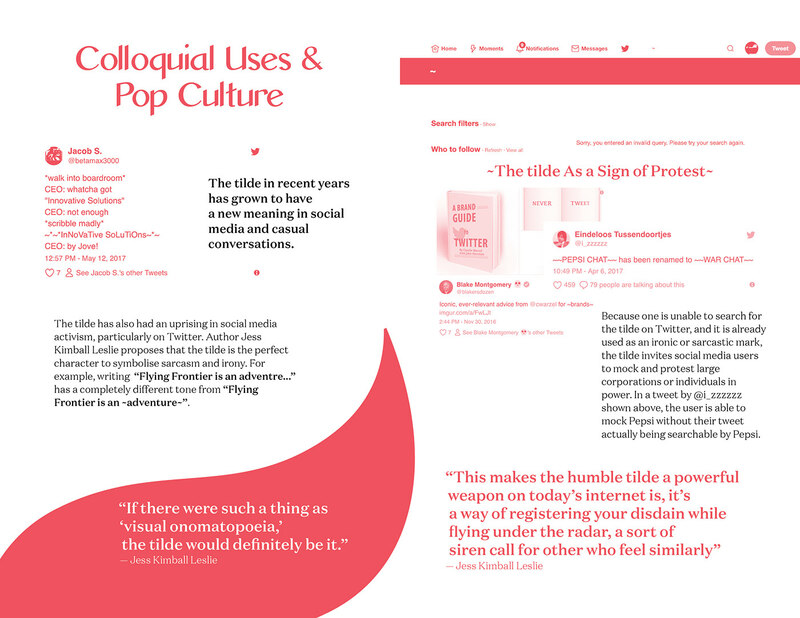 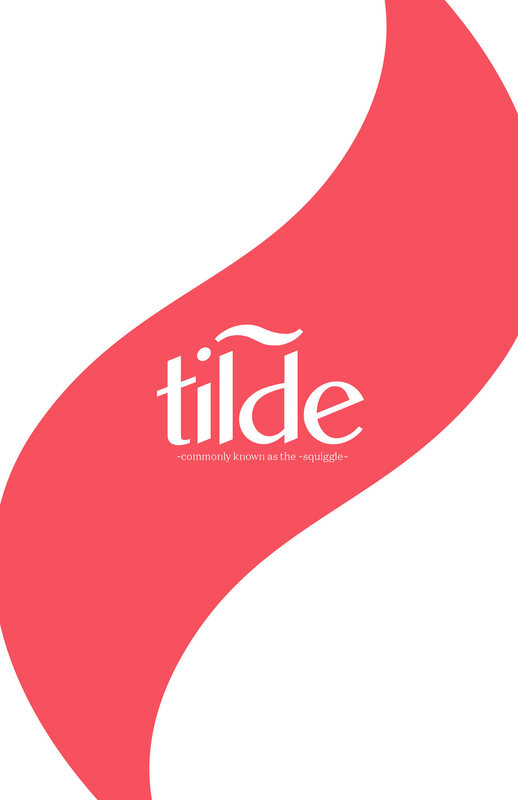 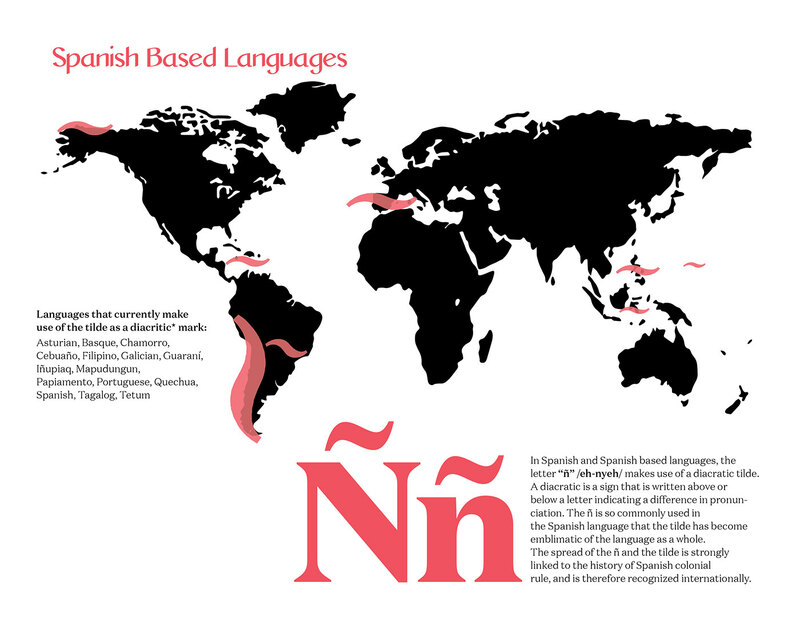 This publication investigates how the tilde – which is often connected with the Spanish language – has been used in various contexts. 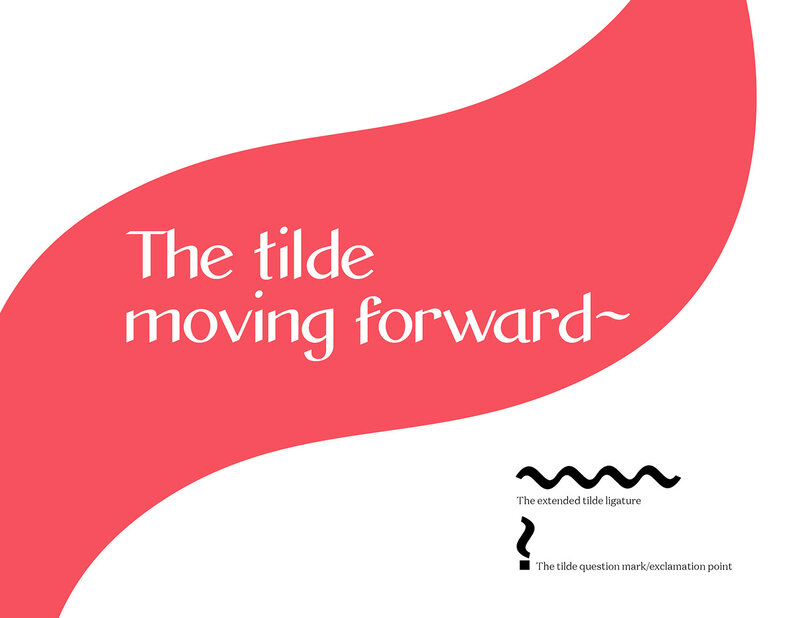 The second part of the publication explores how the tilde can be evolved as a modern day character. 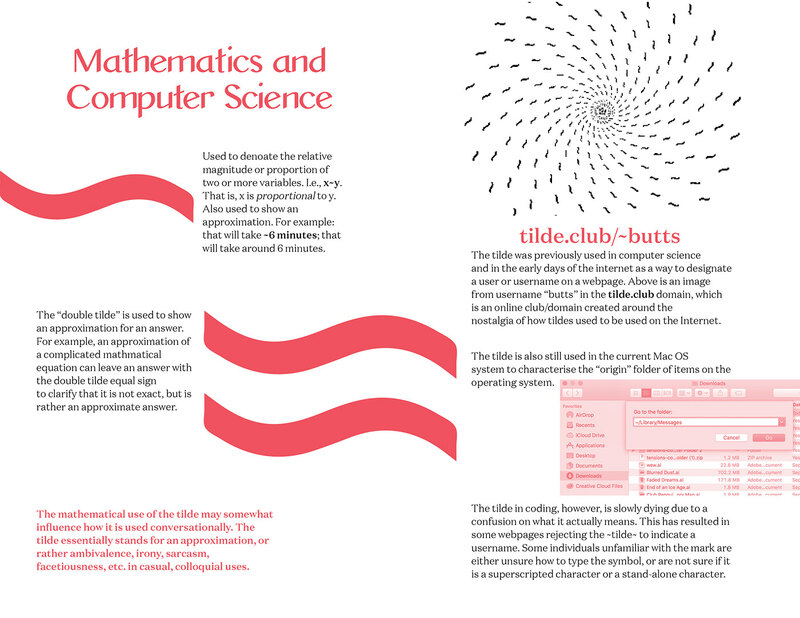 Final book was printed on US Letter size paper (8.5" x 11") with a Risograph.